I thought eBay prime was a thing now. Lol. Excellent. Just managed to get a G6. Cheaper than the price of many of these on ebay and also includes 12 month guarantee. Thing is..i am looking for camera quality. 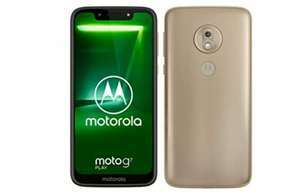 So which Moto G7 varient would be good for me? Would it be the one in the deal we are talking about on this thread from Amazon? Price matched in John Lewis and Argos. Bought this 3 days ago, is there anyway I can get the difference back from amazon? In fact I'll go tut fut of mi neighbours stairs too. Still not received my moto z3 play from last deal, wish i had of seen this.Hope they honour price for those that ordered in time. Anyone with a code that works? Its bad. I prefer the idea of the G7 power, with dual sim. Only ever had problems since I bought mine. Inherent fault in g6 means that it keeps disconnecting from WiFi. Lots of complaints online. I currently have a Moto G5, need to upgrade and would like NFC, the G7 screen is too large for me. So this may be the choice for me. This or honor 9 lite? Seems to be out of stock - guess it was a good deal then! I've got one of these. It's great. And how much is the g7 play? Even with just 2GB of Ram (as opposed to 3GB), reviews say the G7 Play is a better phone. No, it's an inherent problem with the g6. Lots of complaints about it online. I have the G6+ and had zero problems with either WiFi or Bluetooth. Could it be your router, or a WiFi configuration issue? My G7 is temperamental with WiFi too. Poor spec even at the reduced price. Be far better with a Yi dash cam. Amazon regularly have them on offer. Yes, I agree with the above comments.I bought one of these branded Motorola cameras - turns out it was made by Binatone. Amazon review Vine Customer Review of Free Product Nighttime footage is poor; daytime footage is reasonable. It's all plastic and looks cheap. FULL DAYLIGHT ============ In full daytime footage looks adequate — it's at 720p, so I expected it to be better; the camera must be quite cheap. I initially thought that it looked quite good, because I was viewing it using the inbuilt LCD screen.. but then i connected the device to my MacBook Pro using a USB cable. (It mounts as a drive.) 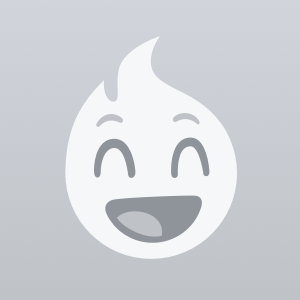 (Each minute block is a separate 'avi' file.) There's an adequate level of detail, the colours are okay, but the picture is a tiny bit noisy. EVENING ======= Around evening time, in partial daylight, the quality gets worse. The problem is footage taken when there's no daylight. In urban areas, with street lighting, the footage is somewhat usable. NIGHTTIME ========= In rural areas, like country lanes, with only your headlights for illumination, the footage is extremely poor! If most of your journeys are during the day, or in well-lit urban areas, then the poor low-light performance may not be an issue. BATTERY DOESN'T LAST LONG! ======================= Although this has a built in battery, it's for "emergency purposes" as a "backup" and so it must always be plugged into the cigarette lighter port (using the included cable). 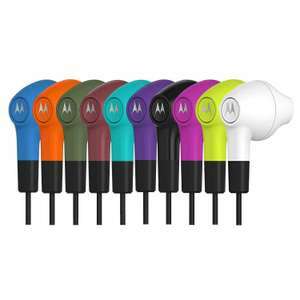 It's actually quite sly, therefore, for Motorola to not to show the chunky charging cable (see my attached pic). Because under normal use, you wouldn't have to connect it to power; it will only run off battery for maybe ten or twenty mins. AUDIO ===== The audio has a constant low level background sound — it must the the noise from the unit itself. OR perhaps it's something in the car. I will run more tests! CONCLUSION =========== This is a very budget dash cam and you get what you pay for. It looks cheap and is cheap. Posted for less a while back, somebody pointed out they are made by binatone who hold the right to use the Motorola brand name for accessories like this. So don't know how good they would be. What's the quality like?. Any aptx? 2 hour battery life doesn't seem very long. Showing at £219 and Coupon code says is not valid for the current cart. Got this for my son a few months ago, can't remember how much I paid but Amazon were doing a deal at the time. He loves it, especially the turbo charge since he's always forgetting to plug it in but the turbo gives him enough for most of his daily needs very quickly. :-) At this price it's a steal. Sorry will expire as none left. last one sold at 19:20 today, was it already oos when the deal was posted? Good point. Silly me. It is 3GB/32GB. Not as much of a bargain as I thought. Fingers faster than brain. 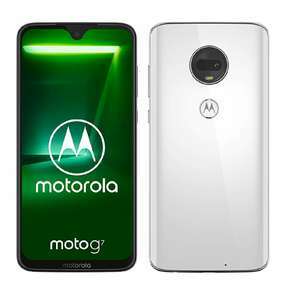 Or you can simply go UK Lenovo site, use code MOTOMADNESS and get Moto G6 for £130.00. I'd go with the 64gb. Is the the device that has Android One? I will never buy a Motorola /Lenovo product again after they messed up my Motorola Z with an official update, then deny any knowledge of a widespread problem despite there being 100s of pages about it on their own forum. I'm seeing 179.99 euros but 181.50 at checkout? I agree this should only really be a backup phone. Got a brand new one in Argos which died after 2 months though Argos replaced without quibble. Had the new one 6/7 months and have now bought a Samsung instead. Lack of memory and, maybe just me, but i could not transfer Apps to SD card. Poor indoor camera too. Not voting hot or cold, just giving my experience. Reasonable backup at this price. Seems like a great saving. New ranges from £150-200 online. I have bought from Argos refurb before and the phone was in new condition! Good deal,but i got one and had to send back.Bootlooping.Returns were easy and refunded as soon as it arrived back though.Ordered another see how it goes. Still a great phone for the money. Thanks. Just updating mine to Pie now. Bought mine from Amazon Spain for £160 when it was deal of the day about a month ago. You can currently get £20 cashback at Quidco and Topcashback if you buy the G7 Plus sim free. I just had a chat with Carphone Warehouse as well, and they have told me that it is the single SIM version. I can see that it is released tomorrow, so if someone actually buys it, could you please confirm if it's the single or dual SIM version? Thanks. Spoke to carphone warehouse today through the chat system online and they have confirmed to me that it is the dual sim version. They unfortunately couldn't confirm if it will be available in store, but they recommended ordering online and choosing store collection if that makes it any easier for delivery for those that work Fridays and want it release day.